Start your planning for one of the most highly anticipated Super Bowl's in recent memory. It's been 10 years since Miami played host to the Championship game, and the then Pro Player Stadium has had a facelift. 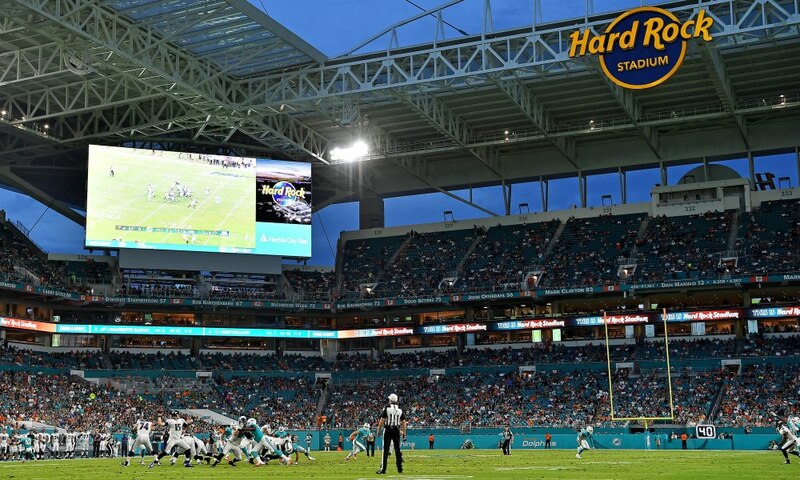 The new Hard Rock Stadium has had hundreds of millions of dollars in renovation work done, and South Florida is primed to host Super Bowl LIV in February 2020. Demand is already incredible for this warm-weather and highly coveted destination. Insider Sports will be calling the Pestana Hotel home during Super Bowl week on South Beach, located within walking distance to the Convention Center, Lincoln Road Mall and of course the white sand of South Beach. OUR SUPER BOWL 2020 TICKET PACKAGES HAVE NOW BEEN RELEASED. Simply fill out the form below to receive our ticket + hotel packages by email.